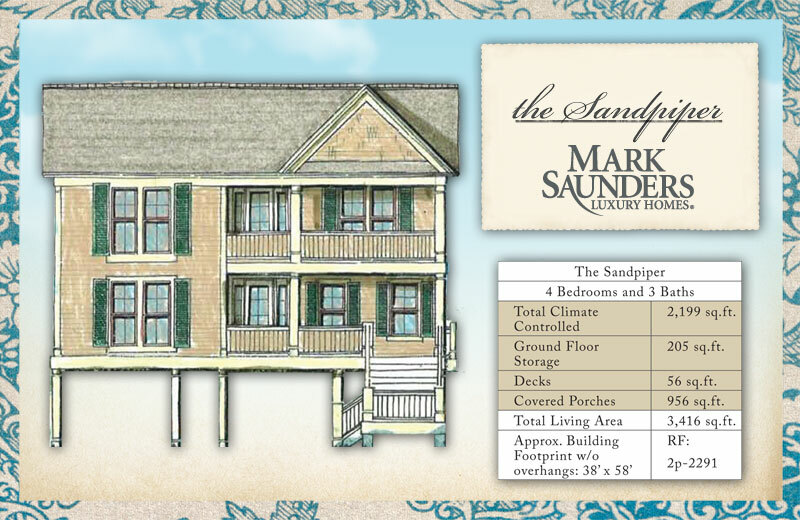 The Sandpiper, a two-story Coastal Carolina Island Home, makes beautiful use of the inverted floor plan with the primary living level on the upper floor, providing enviable views of the Atlantic Ocean and the beauty of the marsh or Intracoastal Waterway. The covered porches, as well as a sitting room on the lower level and a great room on the upper, create the ideal design for an ocean, marsh, and waterway or canal homesite. 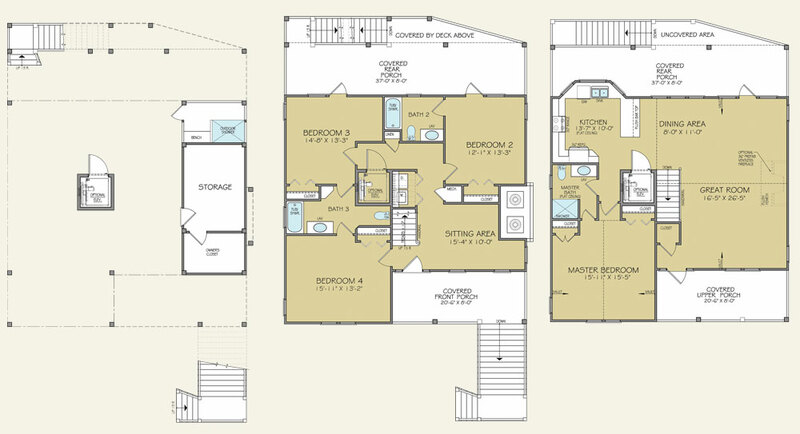 2nd-Floor primary living level with large master suite, an efficient kitchen with a 4-seater bar, and an open dining and great room area that spans the entire right side of the home from front to rear, providing spectacular views and access to outdoor spaces.